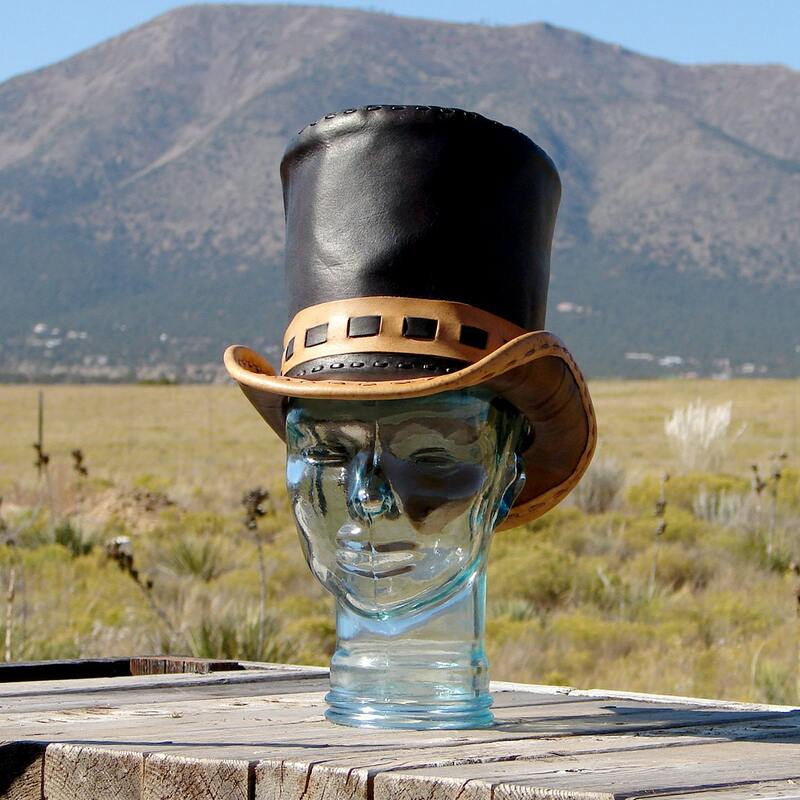 We hope you will enjoy this latest offering, a one-of-a-kind custom made original, entirely handmade, and completely unique, leather high-crowned top hat. 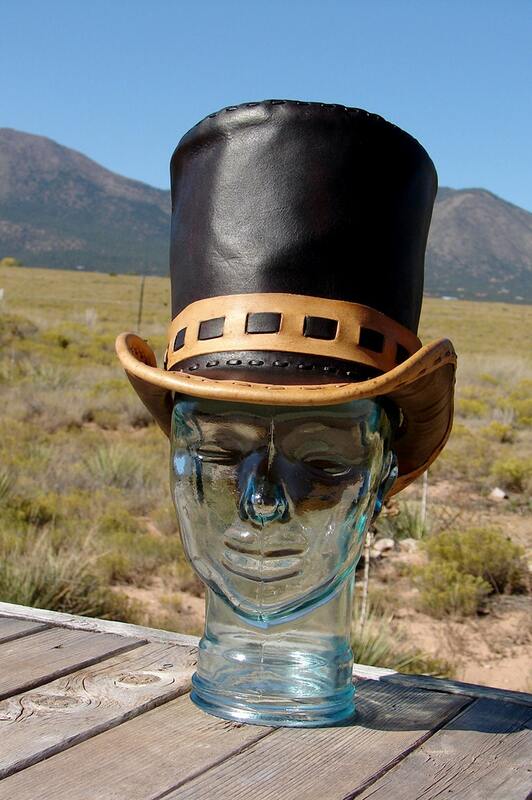 A medium size, around a 7 1/4, should fit head measurements of up to 22 1/4". 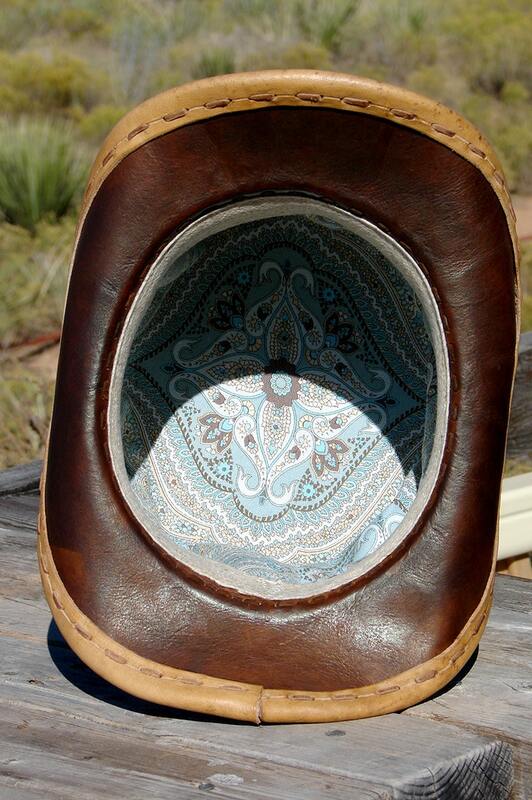 Using quality materials, and nothing but simple hand tools, this chocolate brown and caramel colored topper was hand cut, hand sewn using 1/8th" lacing, then hand dyed and hand rubbed with a glycerine based saddle soap. 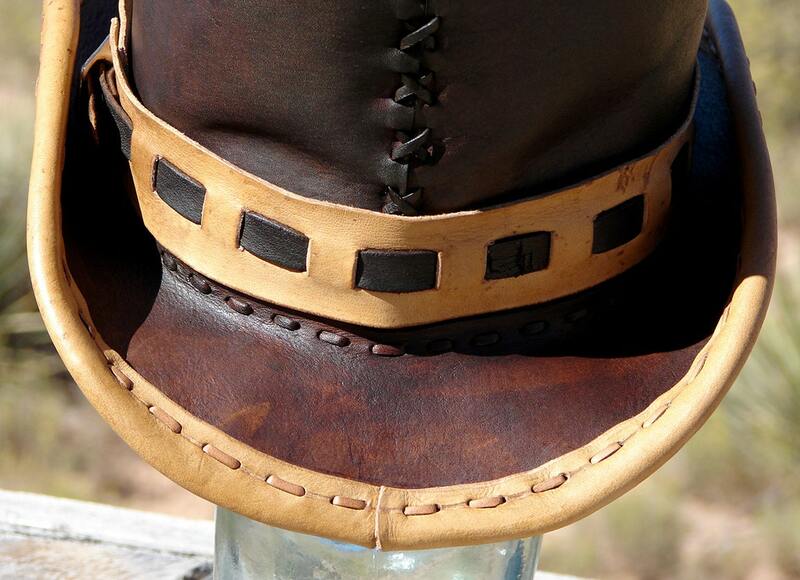 Then a fabric liner and cotton sweat band were sewn inside the hat's tall crown to create a refined and finished look, as well as making the hat more comfortable and wearable. 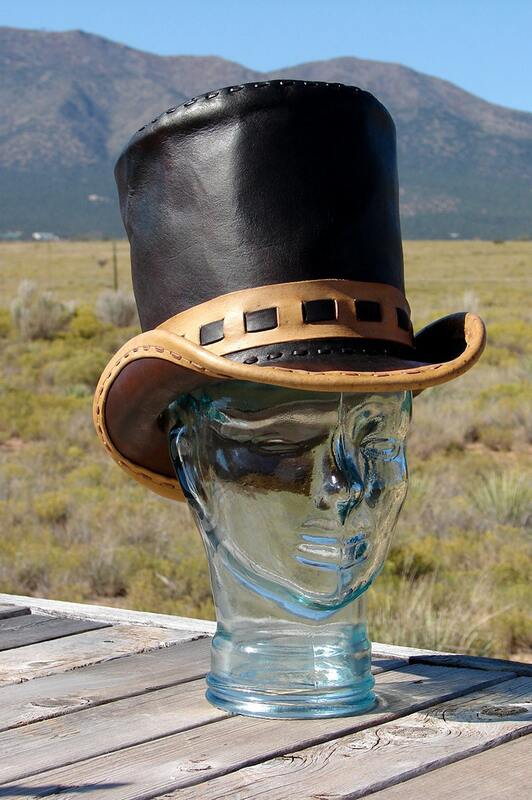 This is a quality piece, which should serve the wearer for years to come.